I love to snack. 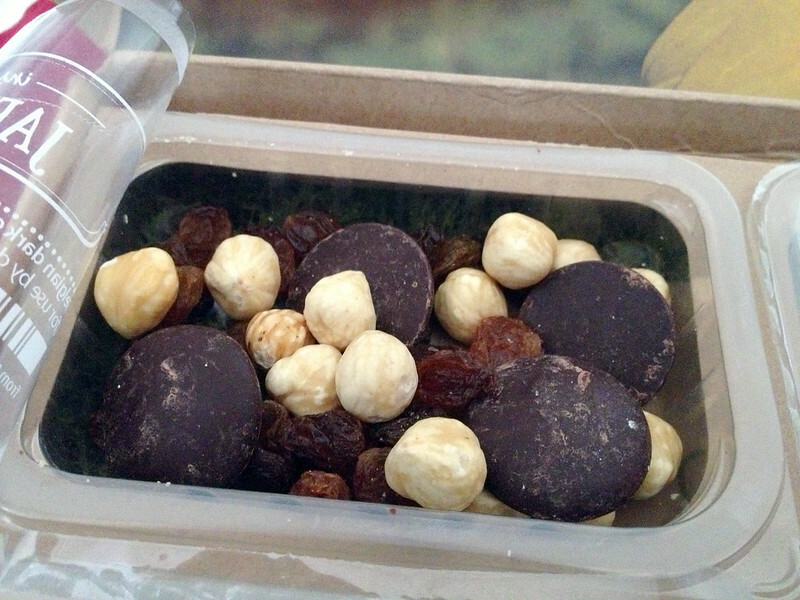 Most of the time, that snacking happens while I'm working, tethered to my desk. What's a better distraction from a creative lull than finding something to nibble on? Unfortunately, vending machine choices aren't very nutritious. 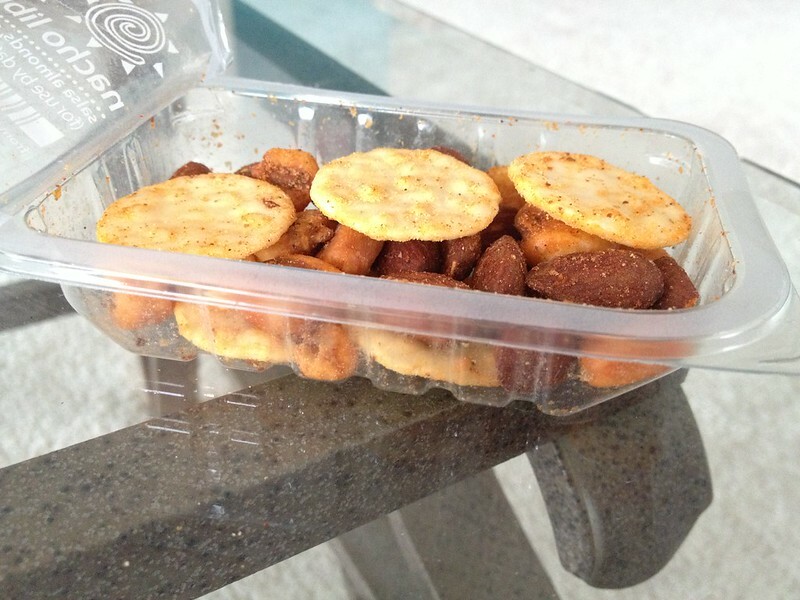 That's when my friend Zach introduced me to Graze.com. 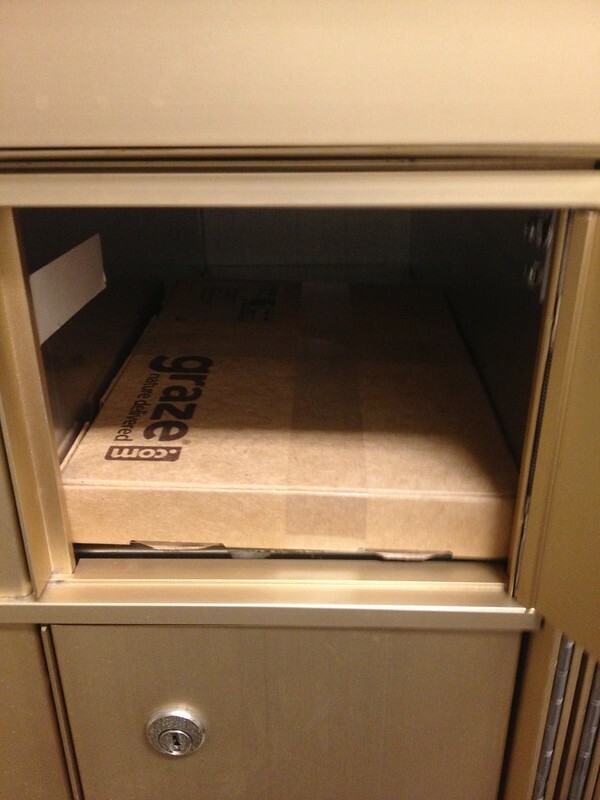 Like Green Bean Delivery, which delivers a weekly bin of fresh produce to your door, Graze offers a customized box of good-for-you snacks that arrives via USPS. With over 90 options to choose from, the website lets customers rate food they want to try, like, love, or trash. Users can also view categories that are friendly to allergies or dietary restrictions. 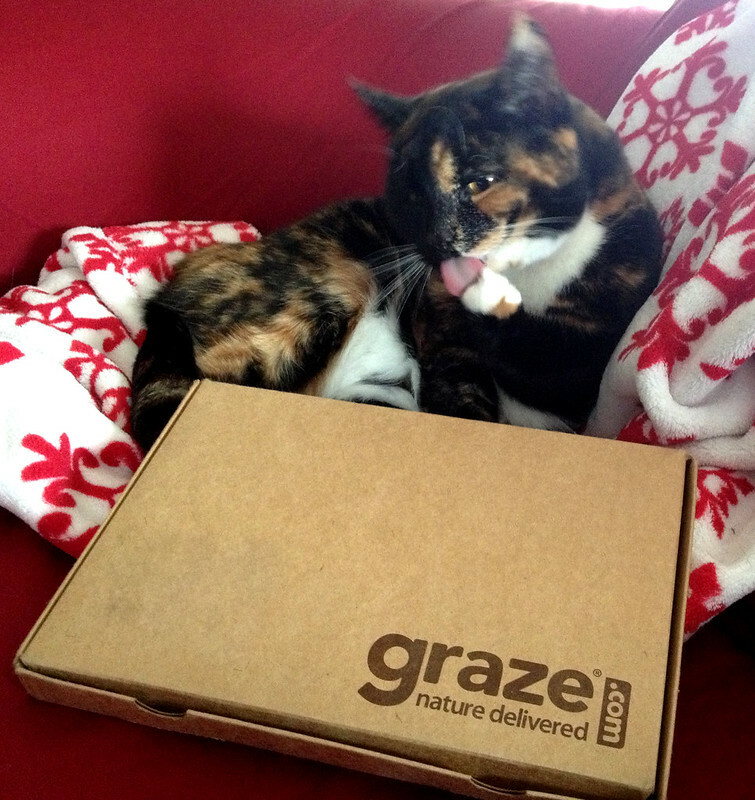 Graze fits right into your mailbox. 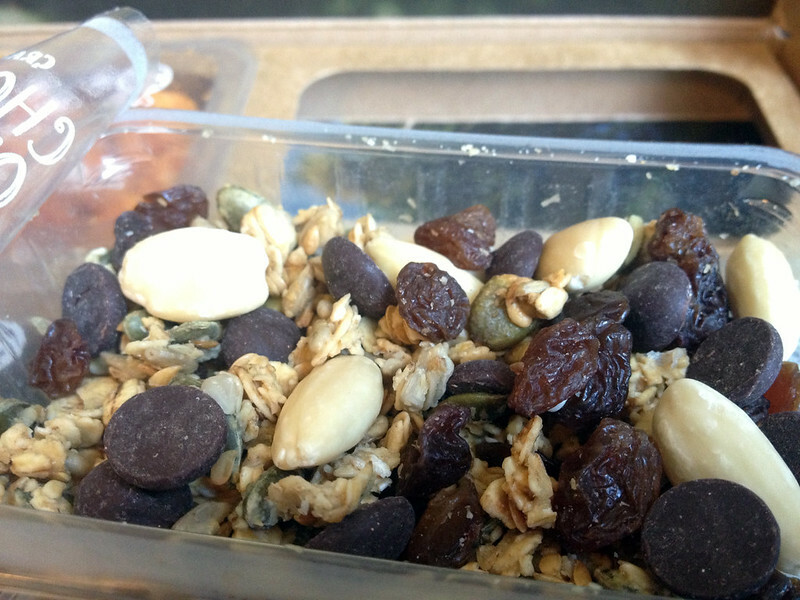 Graze will send you four portions of snacks each week for only $5.00. I first started out on the every-other week plan, then changed to the weekly option to increase frequency. Each portion is one serving size and averages around 100 calories. 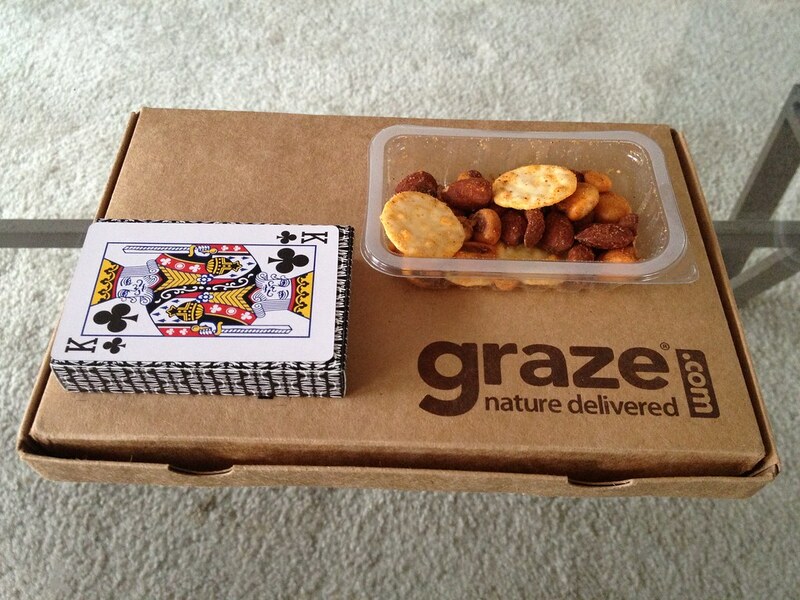 Each snack portion is the size of a deck of cards. Each box comes with nutrition facts about your order. 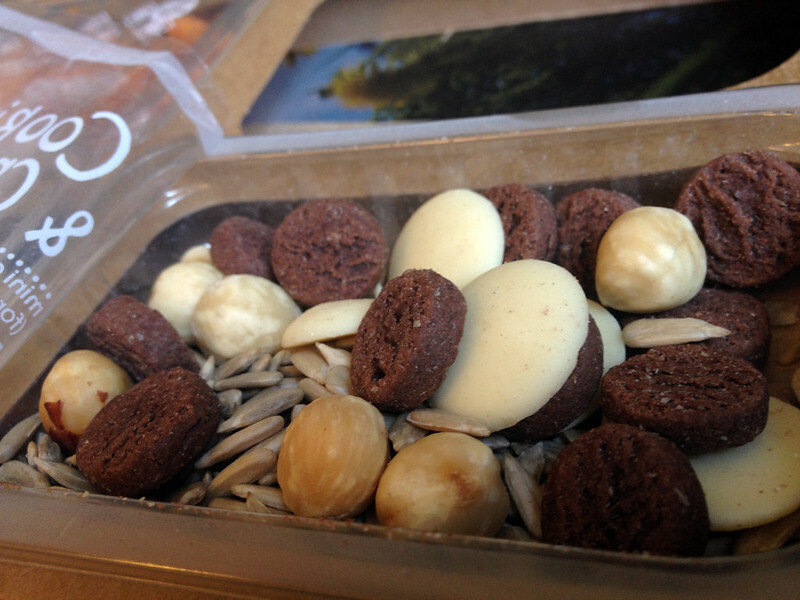 Not only are these nibbles nourishing, but they taste fantastic. 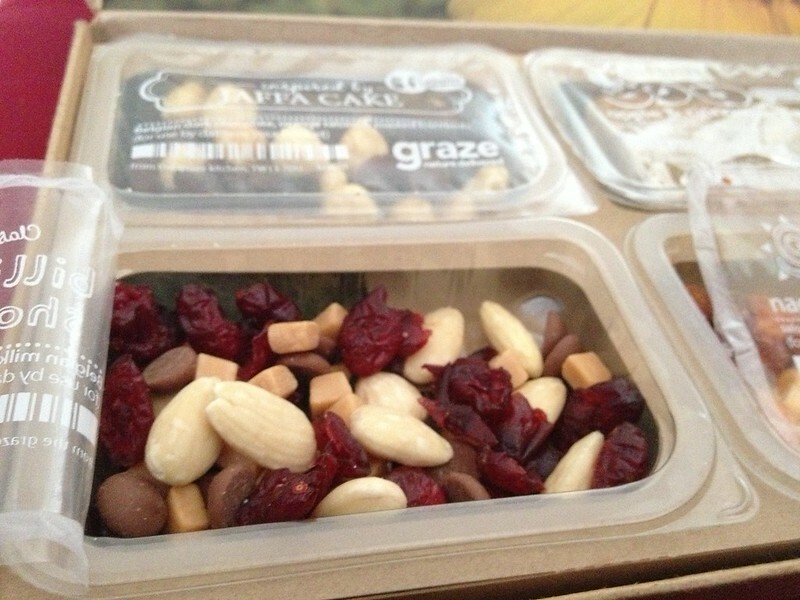 Graze's chef, Eleanor, creates all the snacks by mixing flavors of nuts, dried fruit, chocolate morsels, crackers, and of course, natural seasonings. 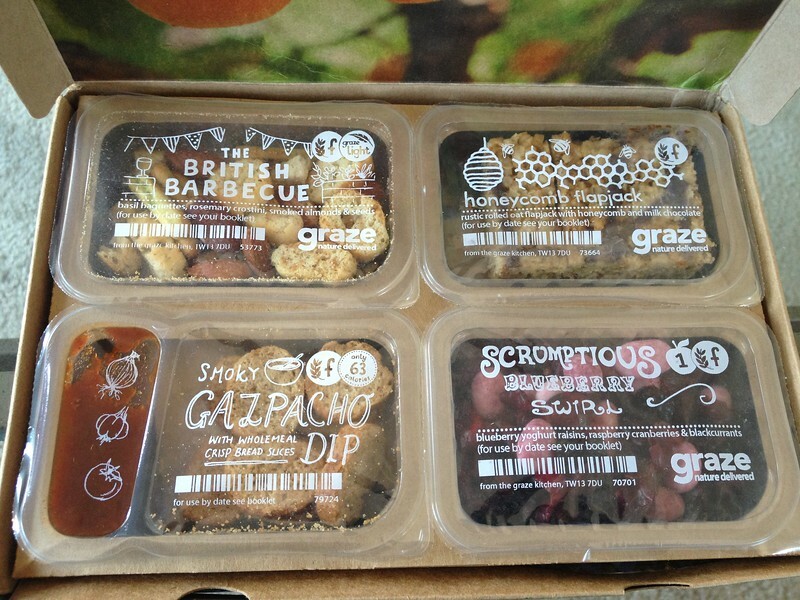 One thing that's great about Graze is that I get to try a variety of new foods that I otherwise wouldn't select for myself at the grocery. Most of the time, I'm pleasantly surprised by the taste! 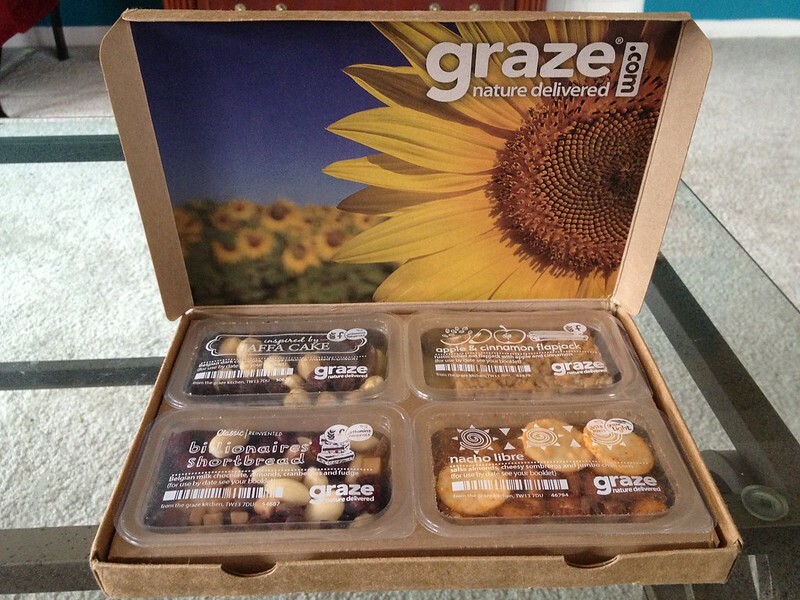 Currently, Graze.com is offering a special: if you sign up for 5 boxes, your first and fifth box is free! 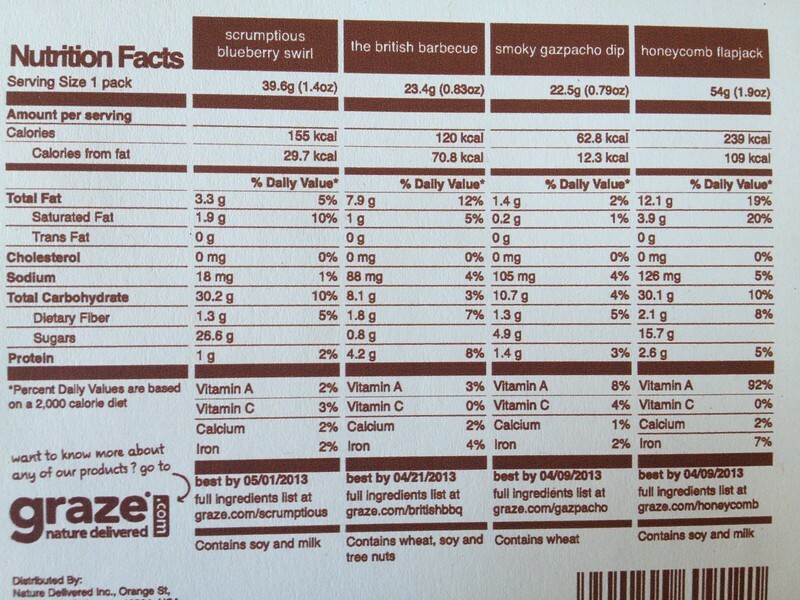 Since Graze is new, they are only allowing people to sign up with an offer code. If you're interested, send me an email - I have a few codes left that I'm willing to share! 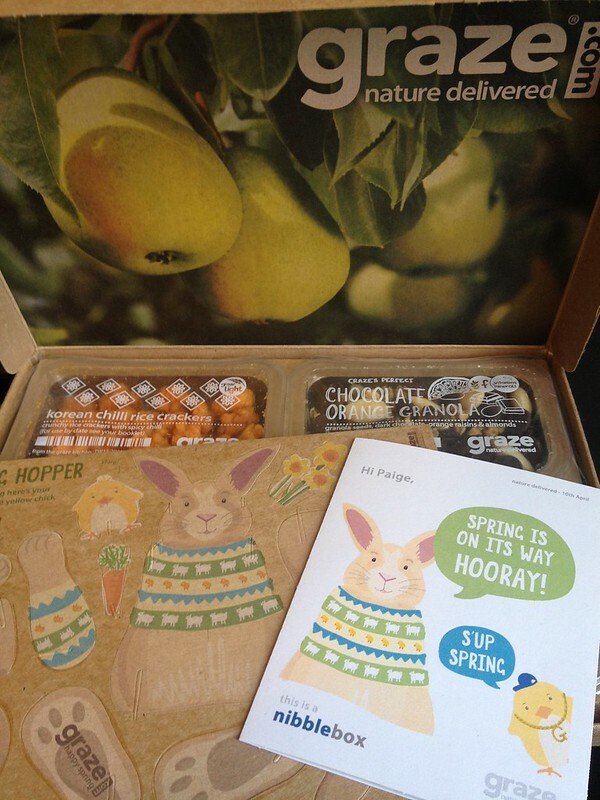 Sometimes Graze sends little surprises, like this punch-out bunny included with my Spring box. 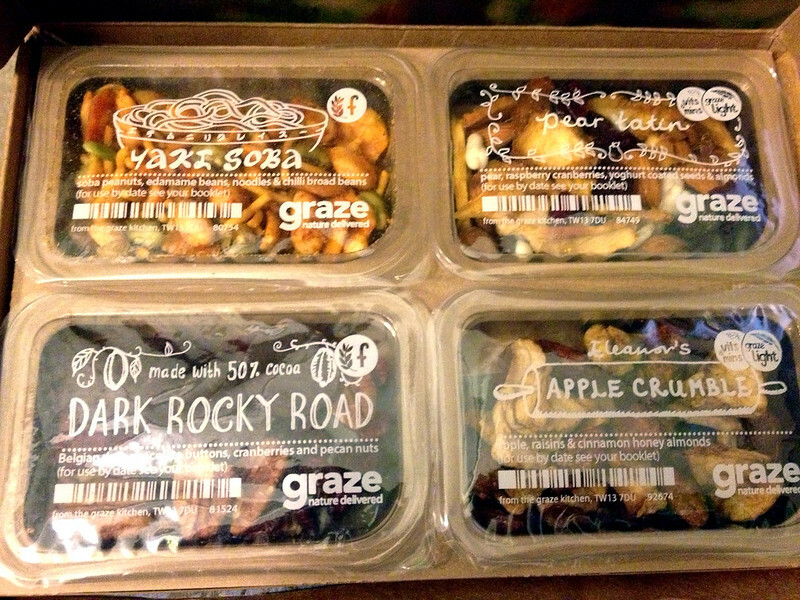 Graze is one of my new favorite things, especially since it is good for you, guilt free snacking, plus it can be delivered to home or work! If you decide to give it a try, let me know which tastes are your favorites.